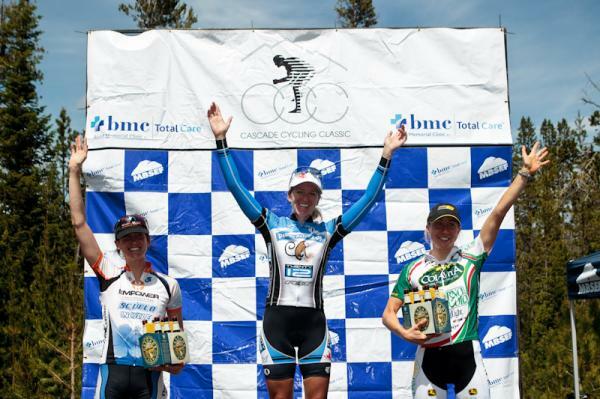 Congrats to Katie Donovan of SC-Velo/EMPOWER COACHING cycling team...3rd place at Cascade Classic stage 1 Road Race. 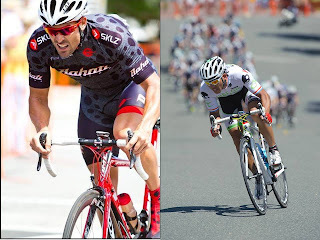 Empower Coaching Staff: Chris DeMarchi & Kirk Bausch show how its done at the Cal State District Crit championships: Chris (2nd in both Master 35 & Pro), KB (4th in Master 30). These coaches practice what they teach. Chatsworth, CA (30 June 2011): Bringing in the Fourth of July weekend with a touch of patriotic panache, Bonk Breaker introduces the seventh flavor of the best tasting energy bars on the planet: blueberry oat. The fast flourishing company also recently inked sponsorship deals with a trio of American champion track cyclists who are favored to medal at next year’s London Olympic Games: Dotsie Bausch, Sarah Hammer and Jennie Reed. Following last month’s launch of the espresso chocolate chip bar, which became an overnight sensation, Bonk Breaker believes the blueberry oat bar will be an all-American classic. “Blueberry was on our short list of potential new flavors because of its great taste and antioxidant properties. Plus we received an incredible number of requests for blueberry via Facebook posts, emails and phone calls from our loyal customers, an organic and rapidly growing grassroots group of athletes and health-conscious eaters that we consider to be both valuable advisors and great product ambassadors. Our ‘lucky number 7th’ bar is made from a gluten-free oat base and is our second bar made without nuts, like the espresso chocolate chip bar,” explained Bonk Breaker founder Jason Winn. Riding as Team USA, Bausch, Hammer and Reed won a World Championship silver medal in the team pursuit last March in Holland. With U.S. teammate Lauren Tamayo, Bausch and Hammer share the world record in the three-kilometer track cycling event that will make its Olympic debut for women in 2012.
the oven’ taste. I had been eating them for a while and when the opportunity came to work closely with this dynamic company, I was thrilled,” enthused Bausch, who expects to make her Olympic debut at age 39. Earlier this year, Hammer won her fourth World Championship and became the first American woman ever to win three medals at a single track cycling world championships. She set a world record in the individual pursuit and next year will be a medal hopeful in her second Olympic Games where she will ride the omnium and the team pursuit. “Not only do I use Bonk Breakers in training, but I eat them any time I want a healthy snack. I take the peanut butter & jelly bars with me on the long flights between the U.S. and Europe,” said Hammer, a Californian who presently resides in Mallorca, Spain. “We are excited to add Dotsie, Sarah, and Jennie to Team Bonk Breaker. Our sponsored athletes and teams provide vital feedback, which aids in our product development and keeps us on track. We consider them to be partners and family. These talented women represent the pinnacle of international sporting excellence, and are strong believers in Bonk Breaker and our company’s philosophy. We are proud to fuel their pursuit of Olympic gold,” stated Bonk Breaker co-owner Chris Frank. Baked fresh using only natural ingredients, all seven flavors of Bonk Breaker are gluten-free and dairy-free. Three additional flavors are expected to be introduced before the end of the year. Further information is available at www.bonkbreaker.com <http://www.bonkbreaker.com/> . This isn’t so much of a race report…but a report about being at the race and all the exciting and dramatic events that happen behind the scenes. I was lucky enough to be rooming with Bonnie and Pam on Friday night since we were the only ladies doing the “granny” (otherwise known as Masters) race on Saturday. When Pam got back to the right hotel…she walked in smiling…carrying a big fat burrito and said “I was sliding the card in every door, going up and down the hallway, thinking, why isn’t this working”. Opting for something that wasn’t going to cause me severe GI distress (and an unenjoyable race for anyone behind me on the bike Saturday) Bonnie and I went to get pizza. I have never seen someone who can eat, get ready for bed and be asleep before I even sat down with my food…but Bonnie did it..she got in bed, her dog crawled under the covers and they were out like a light. I hate sleeping, but after Pam put her eye mask on and was out too…I had to do the same. I had no one to talk to. Even the dog was ignoring me. 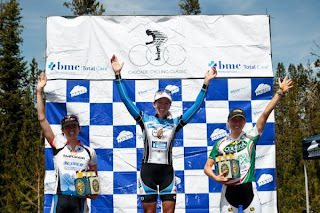 I will spare you the details from Saturday…I’m sure Bonnie’s report will have all the info..but let’s just say that I learned a lesson about NOT chasing after your teammate’s wheel and bringing the damn peloton with you…sorry about that Pam. Yes, I did shed a few alligator tears after the race, but I did it in the privacy of some back lot somewhere after the race. Then Pam and Bonnie cheered me up and entertained me for the rest of the day. Actually, Bonnie pretty much slept the whole day, as did her dog Rusty. Pam…well…Pam helped me re-hash that race over and over until I finally stopped feeling bad about it. By the time dinner rolled around I was ready to focus on Sunday and stop worrying about Saturday. Speaking of dinner, when I left the room in search of somewhere to buy Epsom salts for my aching “granny” legs Pam was breaking into the Doritos’s…or the Pringles, not sure which. Never have I seen someone so strong and consistent a racer as Pam…and now I saw the “fuel” she used... I was even more impressed, and frankly, a little scared…I was reminded of something Pam said right before Barry Wolfe, when we were talking about warming up. I believe it was something like, “The only time I ever warmed up before a race it was the worst race I ever had.” See…scary. Sunday was definitely a better day for our team. PC, Bea and Dennis had arrived late Saturday night. I know what they ate for dinner because PC texted me pictures of Chicken and Waffles. I don’t really understand that whole combo…but I did wake up James (who had arrived later on Saturday) to show him the pics and he mumbled something like “yum” and that was the last I heard from him til the next morning. Dotsie and Ruth arrived early Sunday and we were ready to rock and roll!!!!! What did I learn this last weekend? Pam has the strongest GI system of anyone I know and something other than blood must run through her veins…Bonnie’s dog LOVES to sleep. (He slept on the front seat of James’s car throughout the whole race), PC needs a compass…Bea and I had really sore asses and need a constant infusion of chamois cream supplied to us throughout the race…Dotsie knows more people than God and Ruth can fricking fly!!! !